Thank you for getting in touch! I’m glad to hear that you read my Eluvium review and thought highly enough of it to send your own music in for similar treatment. As someone relatively new to the music criticism game (I’m just now entering my second year) I’m still very flattered every time a musician reaches out to me for my thoughts on their work. Of course, as a musician myself, I understand that there’s a bit more of a cynical side to the self promotion game, but I’d like to continue this review under the assumption that there is a degree of mutual respect and interest in each other’s work. Also, I’d like to apologize for being so late to the draw on this. 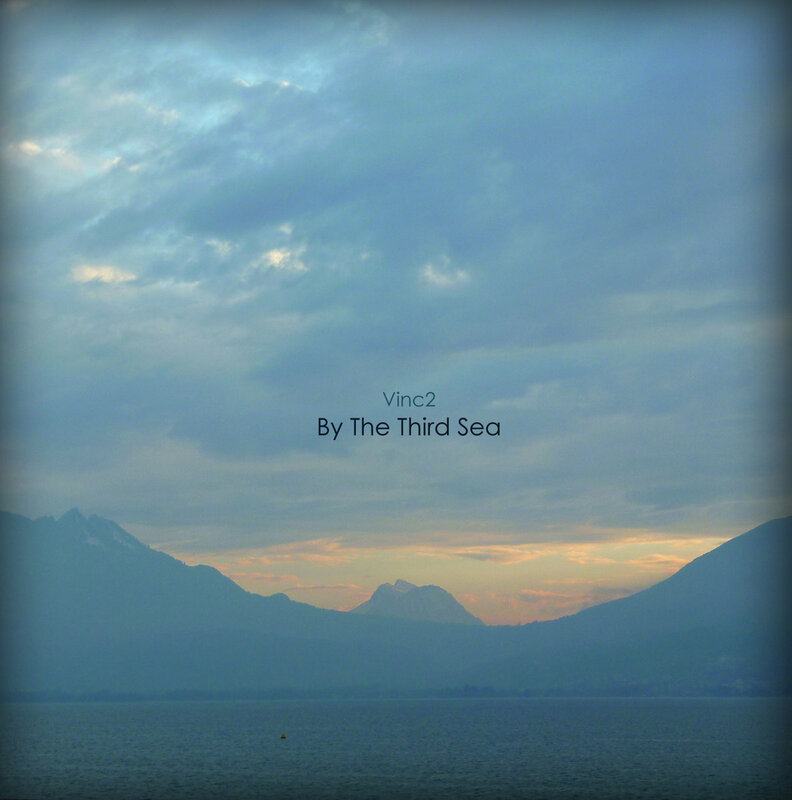 According to your bandcamp By The Third Sea was released in September and it is now January. This means that the hype-building period and my chance to be timely with my content have long since passed us by. Again, I’m sorry. However, it seems like I won’t look too behind the times for writing about By The Third Sea, as no one else has written about it in any real capacity. In fact, the only writing I could find about your music other than your own was a single sentence on a photography blog four pages deep into google. I don’t bring this up to belittle you, after all everyone starts somewhere and I’m certainly not racking up all that many hits myself, but to make a larger point about why I’m having trouble writing about your album. I believe there are two fundamental approaches to music criticism. On one side there is the impulse to introduce new music to listeners, to expand horizons, to essentially act as journalists breaking new content. These critics tend to go to a lot of local shows, scroll deep into bandcamp and keep their ears to ground. The other approach is to analyze and discuss music that readers are already aware of and make them see it in a different light. This isn’t so much of a dividing line as a continuum; plenty of writers do both, sometimes within the same review, because ultimately the intent is the same: to reveal something new to the reader, either in the unknown or the familiar. That said, if I were to place myself in one camp or the other, I would probably fall into the latter. I like to think about why people feel the way they do about established or rising artists. I like challenging misconceptions, or exploring how an album fits into a larger context. And here’s where I’ve been having trouble with By The Third Sea. All I really have to go off of for this album is your email, your bandcamp, and that cover of a Sigur Ros song on the Guitar World forum (nice job with the vocals on that by the way). Luckily you’re playing a style of music that is entirely based on the creation of its own context. You’ve done an excellent job at building a mood on this record. I’m reminded of summers that I spent with my parents in the isolated parts of the northeast, sitting by a lake while the sun retreats behind the hills or watching the fog float over a harbor in Maine. There’s a soft intangibility to the record that definitely calls to mind Eluvium, especially in the way that vocals are present but slightly out of reach. I was also unsurprised when I discovered that you had previously covered Sigur Ros, as there are hints of their compositional style poking through here and there. There’s a particularly great moment in “Waiting For My Number To Come” where the music seems to be rising towards something triumphant but receeds back into the murk before erupting. It takes a lot of guts to suggest something grand is about to happen and then shift away from it. Not to constantly reduce your music via comparison, but I was also reminded of Olafur Arnolds while listening to “Loneliness Has No End.” This is certainly not bad company to be in. There are some problems with By The Third Sea however, namely a lack in confidence in the ability of the music to speak for itself. There are several moments on the record where found sounds and samples are tacked on to the beginnings and ends of tracks, and while most of them are totally benign, they are generally pretty redundant. Listeners can already tell from the tones of the record, and the album name itself, that By The Third Sea is supposed to evoke nature and water. Adding sounds of rain or waves crashing on a shore may make your intentions clearer, but it does so at the risk of being too overbearing. It’s more important in this style of music to let the listener make their own associations instead of trying to cram your own images down their throat. And then there’s your sampling George W Bush talking about training Iraqi police in the otherwise dream like “Ballad In Em.” I suppose there might be a language barrier here, but this is a completely baffling choice. Nothing said in the sample is particularly evocative of the mood of the track, but its also far too mundane and lacking in drama to be effective as a contrast to the music itself. I say all of this not to make you feel bad for your creative decisions but to encourage you to think harder about your work, and in doing so, improve it. I think you’ve got a great ear for tones and a strong sense of melody, you just need to learn to have faith in your own music, and maybe work on stepping outside of the shadow of your influences. I’m legitimately curious to see what you release from here on out, so be sure to keep in touch.